This file was created for you to see if the different components of my Game Show PowerPoint Games will work on your computer with your version of Powerpoint. 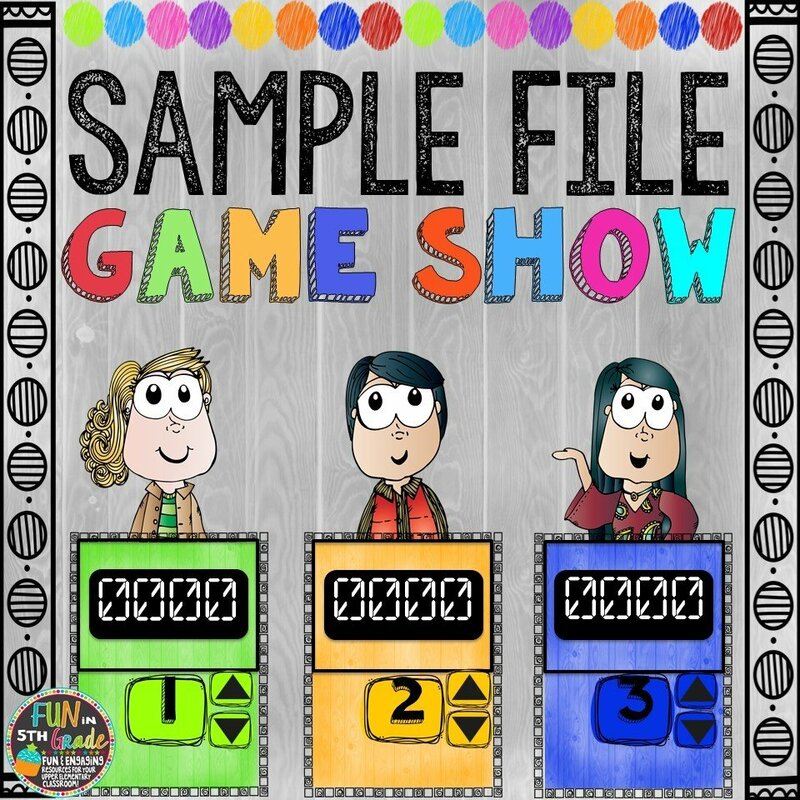 Please download the file and follow the instructions to test the game before purchase of any of my other Game Show games. Review can be FUN with this highly engaging Game Show PowerPoint games! This game will make the skill of practicing important content something students are EXCITED to do! My class CHEERS when they see this game in the plans. PERFECT for review! Put students in up to 6 groups to play this Jeopardy style game! Review days can be dull and kids just don't always put forth their best effort. But if you tell them that they will play a FUN review game to test their new knowledge, they will make sure to be listening to your every word and working hard to get the point for their team! Watch the Game Show PowerPoint Video to see how it works!! If you have any questions BEFORE you buy, please feel free to leave me a Q & A and I'll get back to you as soon as possible. Scoreboard Slide: track points for each team with a WORKING SCOREBOARD! Buttons on EVERY SLIDE that will take you back to the game board, scoreboard or answer. Reset Page buttons on the scoreboard and game board. PLEASE NOTE: You WILL NEED to enable macros for the presentation to work correctly. Instructions are included. Most computers ask you right when you open the file so it's super easy. If it doesn't, just follow the instructions in the "Instructions" PDF file included in the download. This is a POWERPOINT file and can be used on any computer with PowerPoint. I have an interactive whiteboard and display it on that with no problems. Students love to come up and click on the categories! This file is NOT EDITABLE. Please, if you have any issues or problems after purchase, I have included my email to contact me so that I can help you get this FUN and ENGAGING game started in your classroom!